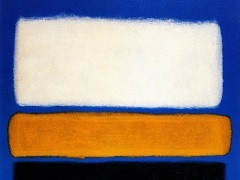 Middle of 1943s saw the creation of Rothko's transitional "multiform" paintings. The term "multiform" has been applied by art critics; this word was never used by Rothko himself, yet it is an accurate description of these paintings. Several of them, including Purple, White, and Red, are less transitional than fully realized. Rothko himself described these paintings as possessing a more organic structure and as self-contained units of human expression. For him, these blurred blocks of various colors, devoid of landscape or the human figure, let alone myth and symbol, possessed their own life force. They contained a "breath of life" he found lacking in most figurative painting of the era. They filled with possibility, whereas his experimentation with mythological symbolism had become a tired formula. The "multiforms" brought Rothko to a realization of his mature, signature style, the only style Rothko would never fully abandon. 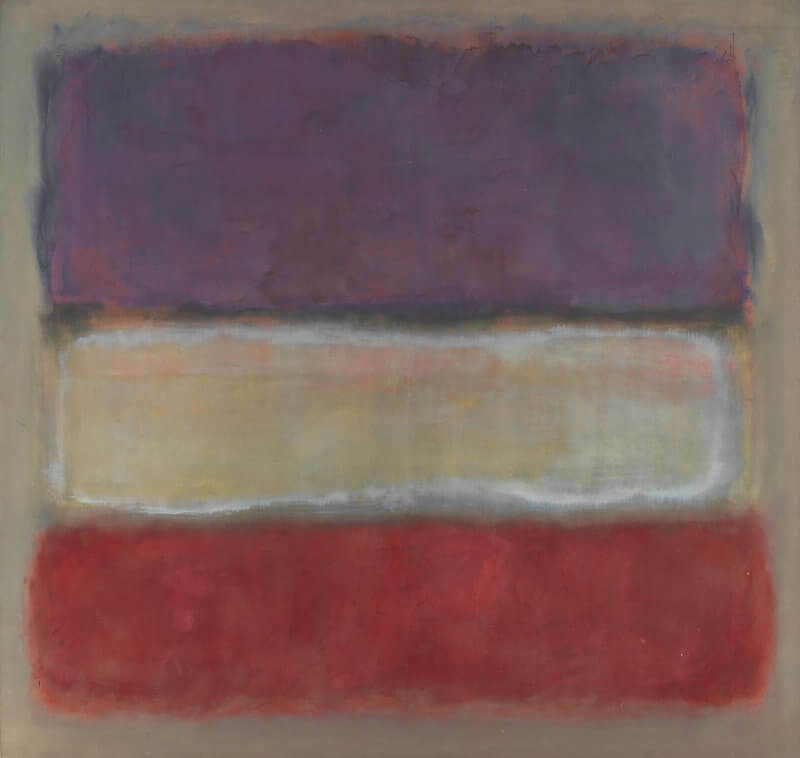 Purple, White, and Red (1953) follows the characteristic format of Mark Rothko's mature work, in which stacked rectangles of color appear to float within the boundaries of the canvas. By directly staining the canvas with many thin washes of pigment and paying particular attention to the edges where the fields interact, he achieved the effect of light radiating from the image itself. This technique suited Rothko's metaphysical aims: to offer painting as a doorway into purely spiritual realms, making it as immaterial and evocative as music, and to directly communicate the most essential, raw forms of human emotion.